Television pioneer Fred Rogers believed children's programming could shape a generation. 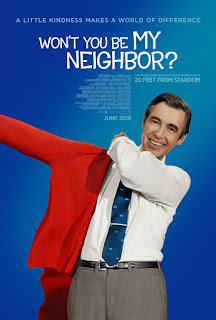 "Won't You Be My Neighbor?" combines clips with a few clues to Roger's ability to understand children. He left the seminary for public television. It was his calling. The documentary highlights important moments in his career, including winning over the senate budget committee during a contentious hearing on the PBS budget. Behind the scenes footage combines with interviews of Rogers' widow and children. We still have "Sesame Street," but there's nobody like Mr. Rogers. I wonder if there ever will be again? "Won't You Be My neighbor?," rated PG-13, 4 stars. Opens June 8, 2018.